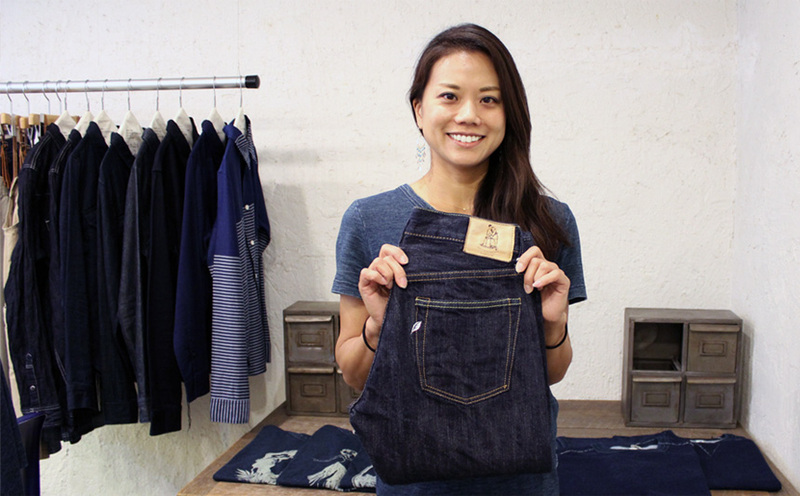 Okayama is the capital of Japanese Denim. The denim produced in the place is known for its quality and durableness. 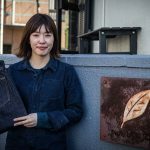 The fabric is used by not only Japanese makers, but also international brands and high-end designers today. Pure blue japan was started in Okayama by Kenichi Iwaya with an excellent background as fabric manufacturer. His experience and knowledge in fabric production is the brand’s unique point. Its new product development starts from coming up with a style and making the best fabric only for it. This unique structure of the development attracts jeans lovers in the world. 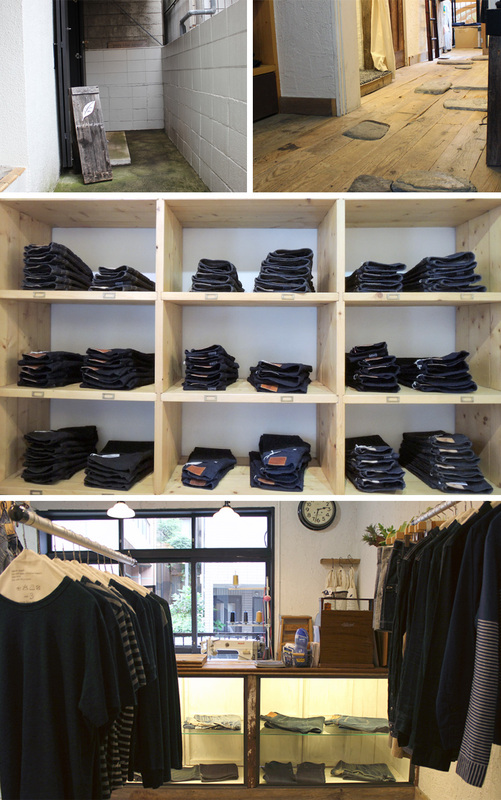 Pure blue japan’s store is located off Harajuku, near United Arrows’s flagship store and International Gallery BEAMS. The shop has nice old furniture from all over the world. The shop stocks core models all season and offers range of its seasonal collections. Within the core models, we picked AI-002 to introduce. 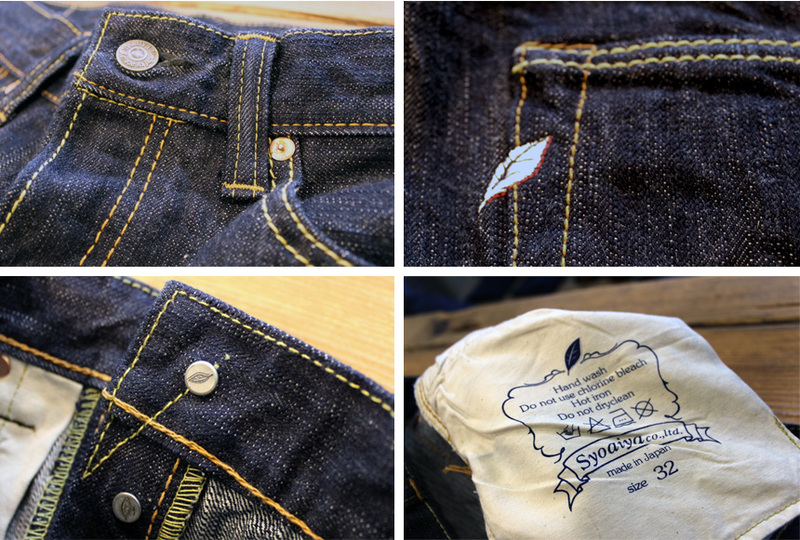 AI-002 is a slim straight fit with button fly and its trademark on the back pocket. 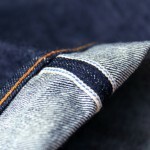 Nice blue selvedge detail is to be noticed as well. 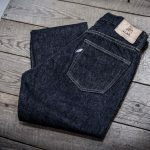 The best feature of the jeans is the brand’s original 18oz Ai Zome denim fabric. Ai Zome is a traditional Japanese dyeing method. It is said to be the origin of indigo dying. The Ai color is referred to as “Japan Blue” and “Natural Indigo”. The yarn of AI-002 is hand-dyed by skilled craftsmen in Tokushima using “Sukumo”, organic dyestuff made from persicaria tinctoria. 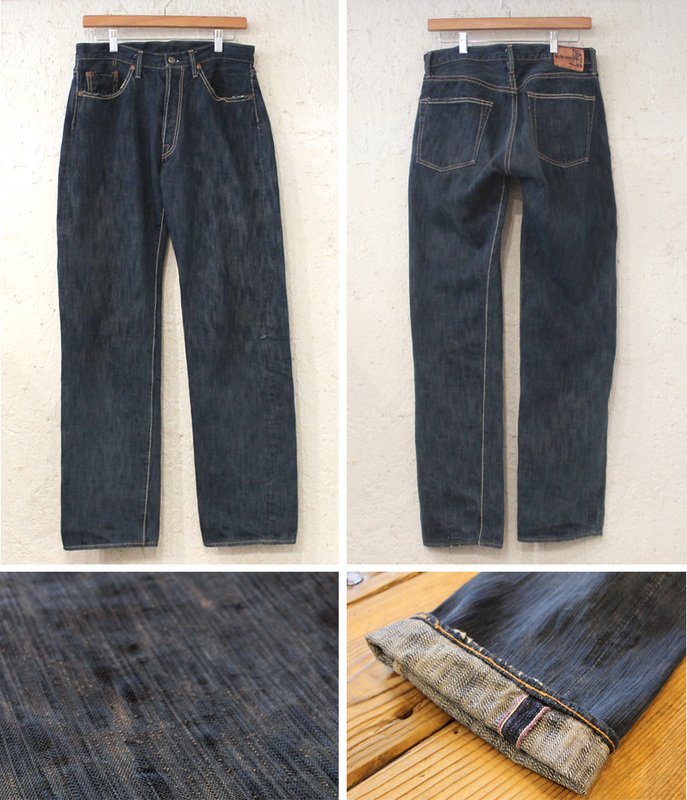 Using the valuable yarn, the denim fabric is woven in the old machine from the 1960’s. The machine weaves fabric very gently compared to the today’s machine used and it gives peculiar bumpy surface to the fabric. 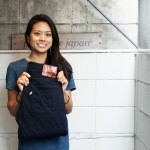 Minako from pure blue japan showed us washing sample that was actually worn for 6 years. 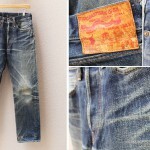 The denim is beautifully faded vertically and this is the characteristic of Ai Zome denim. Ai Zome is done by hand and the dyestuff is absorbed into the center of the yarn, while indigo yarn is artificially dyed in a machine and only the surface is covered with dye. 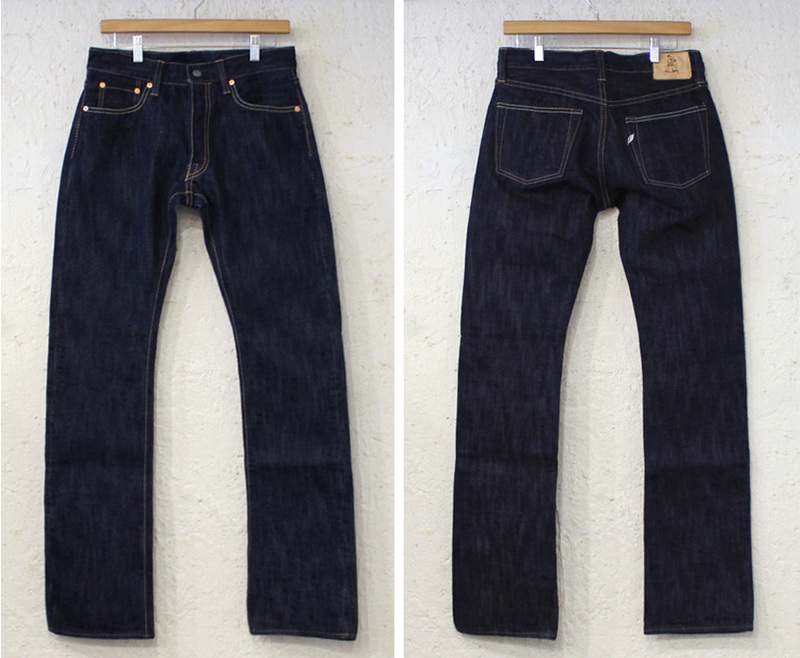 This is why Ai Zome denim does not fade like indigo ones. It fades much slower than indigo, and vertically rather than having white stripes. Pure blue japan’s AI-002 can be purchased at pure blue japan Harajuku. Find more information about pure blue japan on our BRAND DICTIONARY. More photos available from our Facebook page.